Most owners of tractor-trailers keep them well-maintained. Some don’t. Most drivers of tractor-trailers are alert and rested while they drive. Some aren’t. Since tractor-trailers can legally weigh up to 80,000 pounds loaded, tragic things happen when they have maintenance failures or inattentive or sleepy drivers. They become 40 ton bombs crushing anything and anybody who happens to be in their paths. 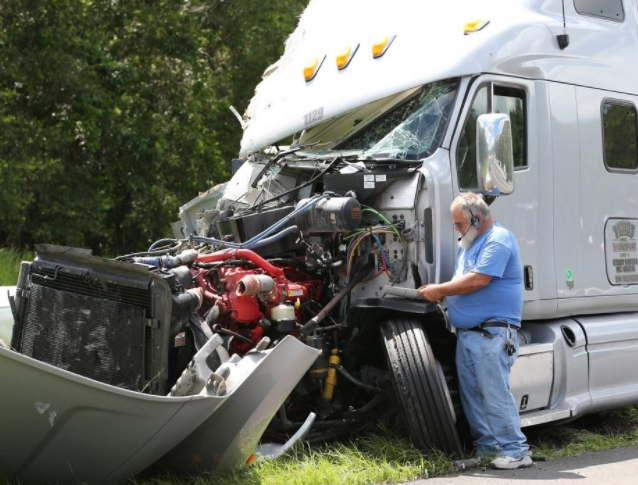 Over the years, I have represented a number of people severely injured and estates of people killed in tractor-trailer crashes. Most of the cases involved really complex facts… maintenance regulations, maintenance records, driver regulations, driver logs, company safety policies and procedures, electronic data recorder downloads, crash reconstruction experts, etc. God forbid that anyone you know is ever involved in a crash with a tractor-trailer, but if they are they should hire an experienced lawyer as soon as possible to investigate the crash and to preserve evidence favorable to their case. It can make the difference between holding the careless driver or owner of the tractor-trailer legally and financially responsible to the innocent victims… or not.